Nelson Nash is an exceptional thinker who discovered a secret to prosperity that was too good to keep to himself. 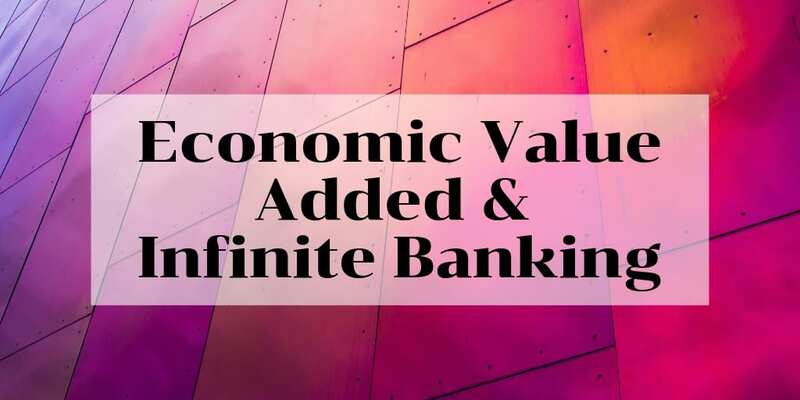 The Infinite Banking Concept® was born when he noticed what was already possible inside cash value life insurance; the ability to earn interest, gain access to capital and take control of your financial life. Since then, he’s poured his life into providing education about life insurance, making it plain so that others could prosper. Through his life and work, Nelson has woven a rich legacy that continues to empower. After reading his book, Becoming Your Own Banker, early on in business, my husband and I quickly implemented these ideas in our own lives. We secured a dividend-paying whole life insurance policy that we’ve since used to invest in ourselves and our business. Our financial education journey led to meeting Bruce’s team, where we also met Nelson in person. We took him out to lunch, and I told him that someday, we would have a podcast, and wanted to interview him before he finished his speaking career. Looks like we made it! We are so honored and grateful for the opportunity to share Nelson Nash’s story and wisdom with you. Inside The Money Advantage Cash Flow System, you first increase cash flow by keeping more of the money you make. Next, protect your money. And finally, you increase and make more. Using Infinite Banking (also known as Privatized Banking) is part of protecting your money in stage 2. It helps you be more efficient with money you already make, keeping and controlling more of it. 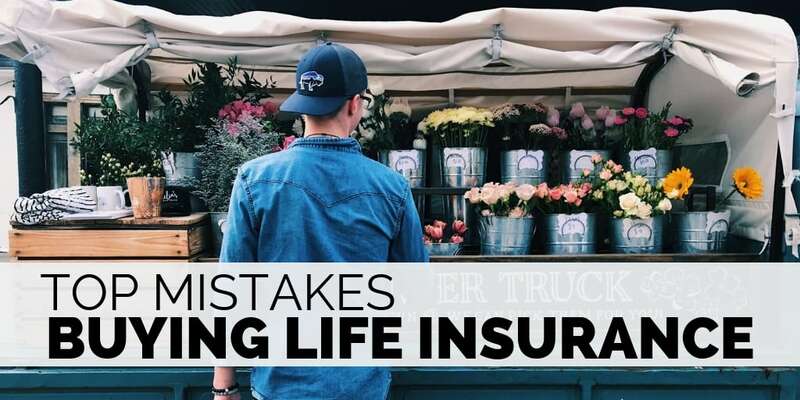 The insurance component protects your human life value by providing a death benefit to your loved ones, even if you didn’t get the chance to create wealth during your lifetime. The accessibility supports your abundance mindset with an emergency/opportunity fund that provides safety and no-loss provisions. It supplies the capital to invest in cash-flowing assets like real estate and business. Your cash value serves as a storage tank while money is waiting to be used. You earn uninterrupted compound interest on your money, so you don’t chisel away your wealth potential by resetting the compounding. The opportunity to have your money working in 2 places at the same time. Accelerate your path to time and money freedom. Tax-advantaged growth and a tax-free death benefit to take care of your family and maintain your legacy. 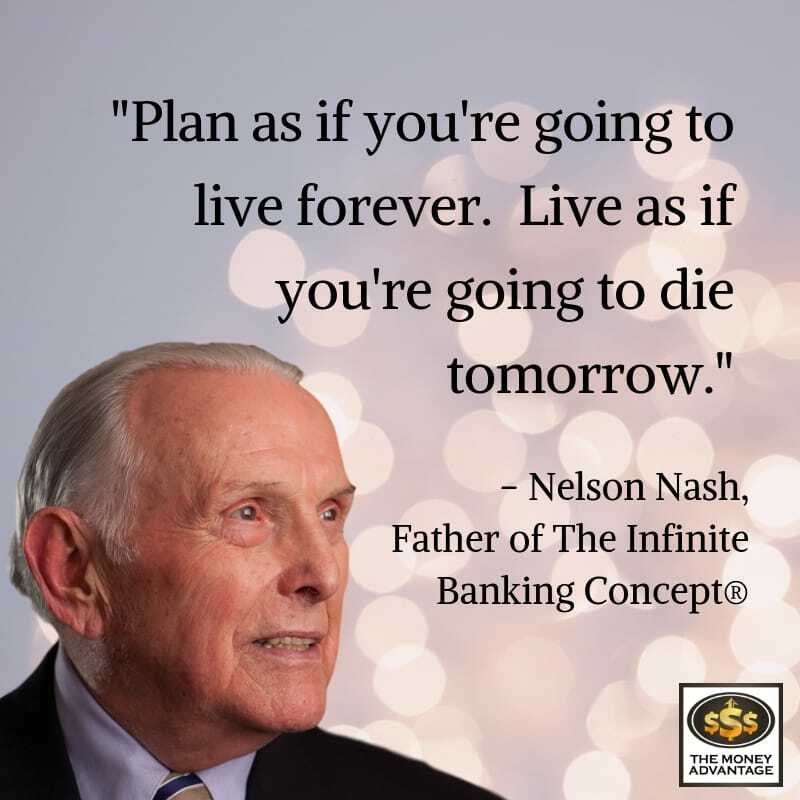 Nelson Nash is the discoverer and developer of The Infinite Banking Concept® and the author of Becoming Your Own Banker. During more than 35 years’ experience as a Life Insurance Agent, Nash worked with The Equitable Life Assurance Society of the U.S. and with The Guardian. Recognized for his high achievements, Nash was inducted as a Hall of Fame Member by Equitable, a Chartered Life Underwriter, and Life Member of the Million Dollar Round Table. A pilot for 71 years, Nash flew with the Army National Guard and earned Master Aviator Wings during his 30 years of military service. He has been married to Mary W. Nash for more than 65 years. The couple lives in Birmingham, Alabama and have three children, ten grandchildren, and eight great-grandchildren, with the 9thon the way. (17:10 – Nelson Nash) … we’re talking about needing over $800,000 at 23% interest. Now I saw very plainly at that time that I could get the money at 5%, 6%, and 8% interest from three different life insurance companies from cash value alone, but I had nowhere near the amount of volume that it took to do what needed to be done. I saw that if I would find a way to increase my premiums big time that I could get rid of the snakes and dragons and never see them anymore. Well, you can’t do this overnight. That’s why it’s so important to think long-range and understand that you won’t get immediate results. (18:52 – Rachel) It’s really about having access to capital. 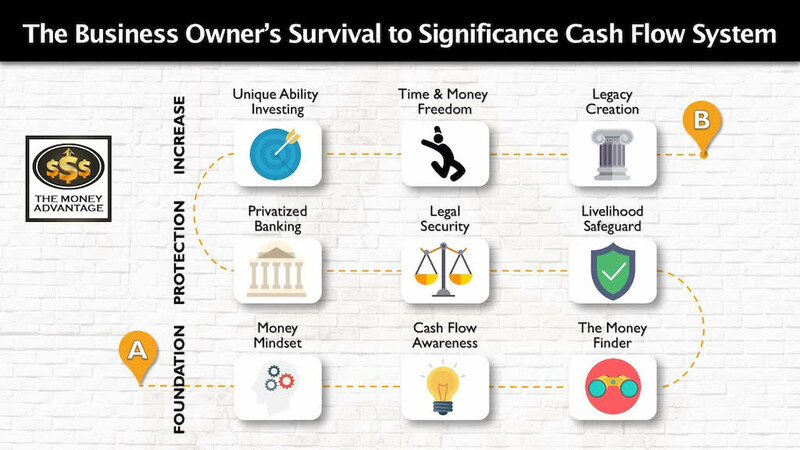 We don’t often look at life insurance as a financing tool, or as a place to get capital we can access, and yet that’s one of the most important functions of the cash value. (20:12 – Nelson Nash) If you go to the reading list on our website, there’s a Resources tab. There are about 110 different books about economics and 135 books on history. You can’t divide history and economics at all; its hand in glove. When you read all these books, you have one Ph.D. in Austrian economics and another Ph.D. in history. 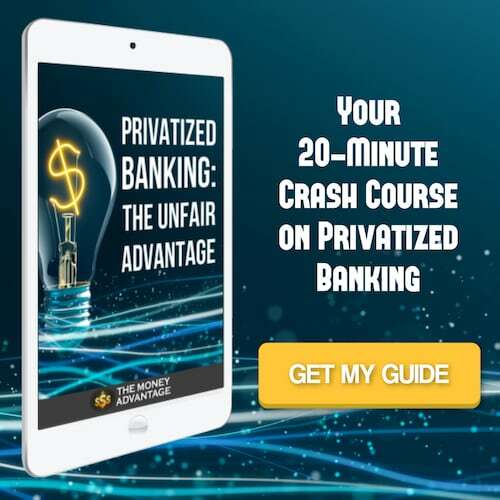 You’ll come face to face with the fundamental problem that banking is in the hands of the wrong people; it should be at the you-and-me level. (23:05 – Nelson Nash) To accommodate what I’m teaching you, you have to go to high premium, low death benefit policies. (23:40 – Nelson Nash) The real problem again, we’re back to classification. Dividend-paying whole life insurance should have never been called insurance. When you buy insurance on your automobile, is all predicated upon if something happens to damage your automobile or somebody else’s automobile or property during a time frame. Every other form of insurance is predicated on the word if and a time frame. Now, look, life is not if. It’s when. We’re going to graduate one of these days, no matter who we are. When they came up with the idea of whole life insurance, they should never have called it insurance because of its major characteristics. You need a greater cash base to be able to do this. It was totally backward from the way that insurance companies thought. How he salvaged a significant error in business during a time of soaring interest rates by borrowing cash value of life insurance. Nelson Nash’s background in forestry, real estate, life insurance, and Austrian economics. 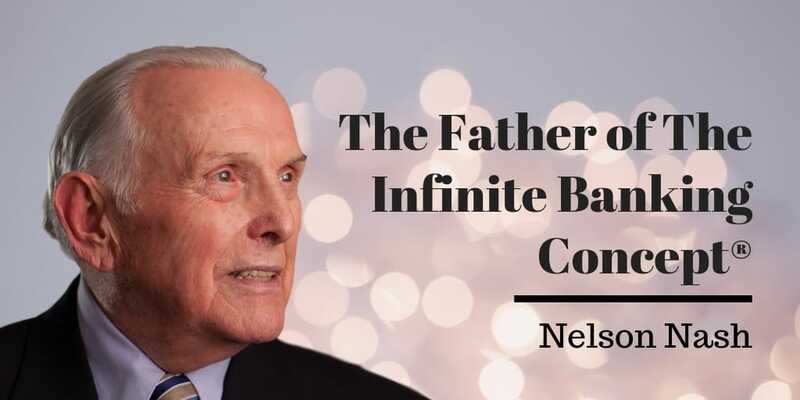 Nelson’s experience teaching and sharing The Infinite Banking Concept®. The Nelson Nash Institute has ample resources: newsletters, in-depth articles, shows, events, and continued work with Carlos Lara and Robert Murphy available at infinitebanking.org. 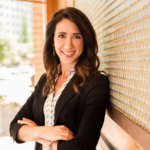 Through an annual think tank and the practitioner’s program, the Nelson Nash Institute authorizes and trains practitioners who can help you implement these strategies in your personal economy. If you would like to get a copy of Becoming Your Own Banker, visit infinitebanking.org/individuals. The Money Advantage team has authorized practitioners to help you implement The Infinite Banking Concept®. 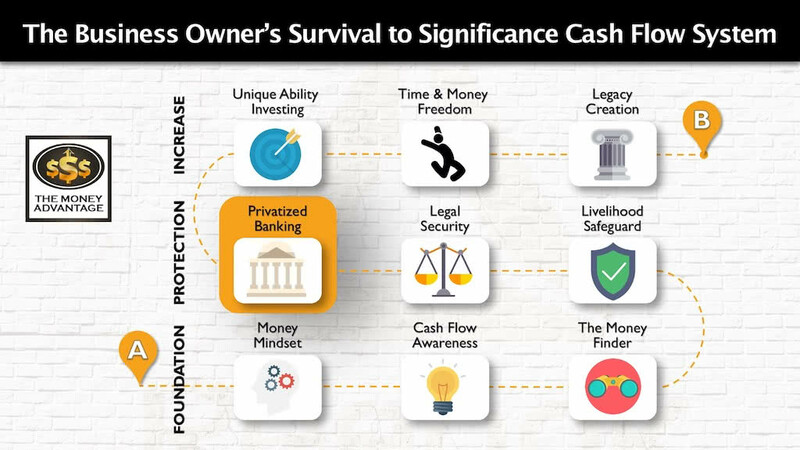 Through these strategies, you can effectively store your capital where you have safety, liquidity, and growth AND use it to invest in cash-flowing assets to build Time and Money Freedom. If you would like to implement life insurance and Infinite Banking in your own life, talk to us about how it would work for you.